In the months and years ahead, there will be an aggressive surge announcing the teaching that there is no hell! That’s right, the doctrine that “hell does-not exist” will began to emerge from the bowels of the doctrine called “hyper-grace.” Hyper-grace is simply exaggerated grace, grace with mixtures. An example of hyper-grace would be the teaching that “God’s grace covers your past, present, and future sins,” which establishes the stream of thought that it really doesn’t matter how one actually behaves or lives their lifestyle as long as they confess they believe in Jesus. Individuals who are saturated within this doctrine will tell you they are not into “behavior modification” or “sin management,” which provides them with the mental footing to practice sin without any obligation to repent. This particular doctrine eventual leads to inclusion for all people, projecting that all of mankind will ultimately be forgiven of all sin by God’s grace. 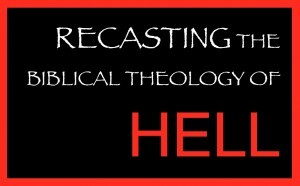 Although, the teaching that “hell does not exist” has been intertwined within the doctrine of hyper-grace for some time now, it is precisely seeking to formulate a more bold and aggressive thread of its own, with the hopes of capturing the participation of many to join its campaign to recast the biblical theology of hell. This perverted ideology has, and will be, taught that an “infinite all-loving God” would not even sentence the most vile sinner to such a “place of torment” that the traditional biblical school of thought exclaims about hell because he is full of grace and provides endless mercy. Within this quest of recasting, the Holy Scripture pertaining to hell will be reduced to some “psychological state of mind” or the mere suffering of here on earth. The comparison of “hell being on earth” versus the actual place the Bible instructs about, doesn’t remotely compare when you examine the torment, extreme horror, eternal depression, and the annihilation of all rest and peace, accompanied with the continual thought of being eternally separated from God. Embracing and communicating the pseudo-definition that “hell is on earth” does a great disservice to the human race. Whitewashed walls have been constructed in the house of God many times because false prophets are permitted to establish this kind of aberrant doctrine. The dangers of such recasting, can, in fact, lead those who buy into this heretical doctrine to a place of grand deception, which ironically will guide them to the very place they have come to believe doesn’t exist. Equivalent teachings corrupt and slowly decompose the moral conscience of their prey and consistently establish illusionary streams of thought that support false hopes for the life hereafter. It would be wise for those who hold firm to sound doctrine not to view this campaign of recasting biblical theology as something that is only being propagated by some isolated fringe group. Doing so will be a miscalculation that leads to the discovery that this bizarre doctrine of hell has become popularized among mainstream Christianity just as its counterpart of hyper-grace. For those who love the truth must hold fast to the simplistic teachings of Jesus Christ and the apostles. Establishing sound doctrine among the household of faith will help combat and head off the threats of emanating wolf theology.